Are you passionate about horses and farm animals? Are you ready for real work experience? 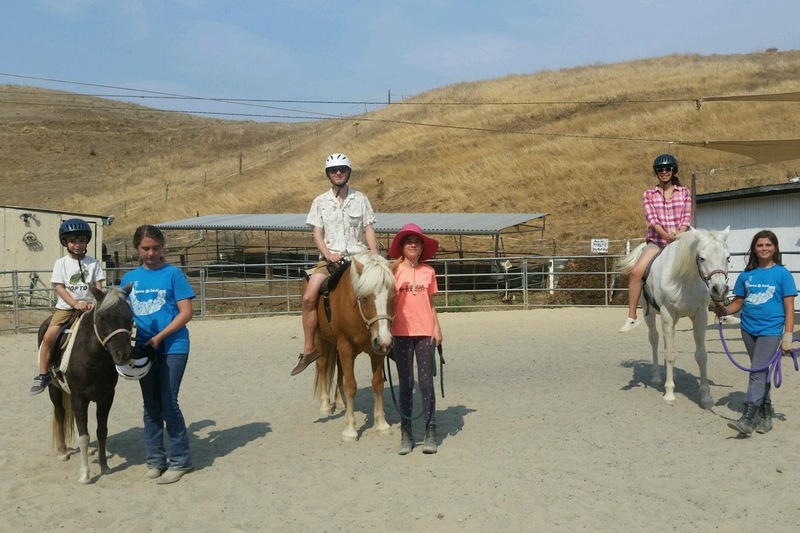 If you are prepared to work hard, get dirty, and spend your Sunday afternoons as part of an awesome team being mentored by a terrific instructor, apply to the Sienna Ranch Apprenticeship Program! School Year Schedule: Every other Sunday from 12:30pm -4:00pm with options to volunteer during holiday camps and weekend events. Summer Camp Program: Total of three (3) full weeks from June 10th-August 16th. 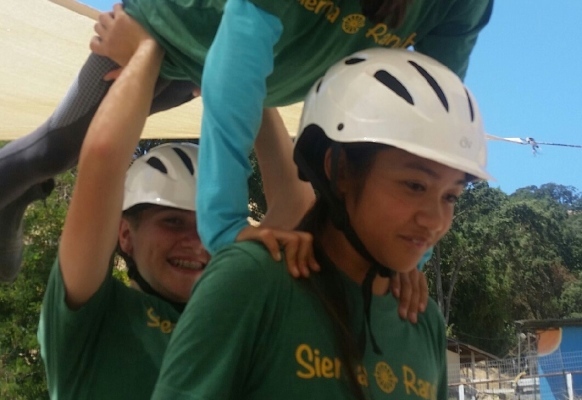 Apprentices will be assigned to finish the annual program requirements during the Sienna Ranch Summer Camp. We do our best to accommodate preferences. 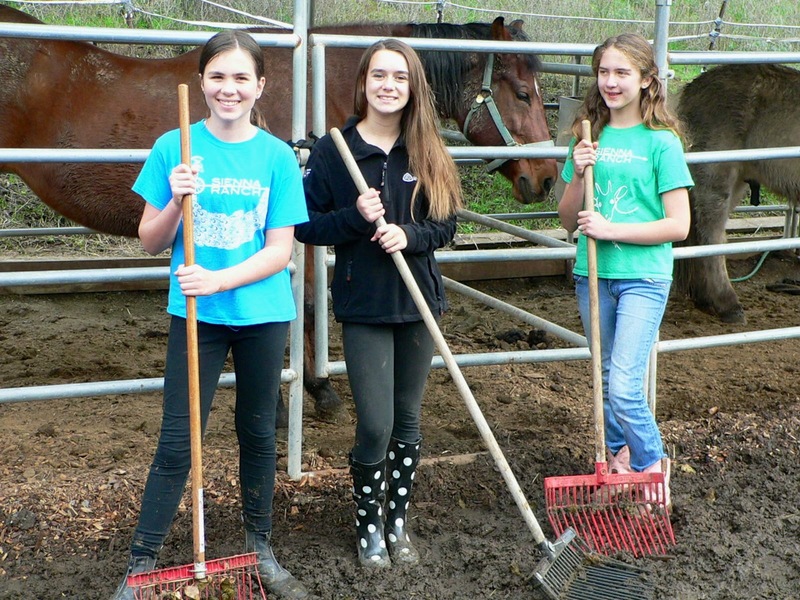 Teens ages 12-18 are welcome to apply to the Animal Care Apprentice Program. Why apply to be an apprentice? Our apprentice program is workplace training where individuals can gain valuable professional experience. All apprentices are expected to follow the Sienna Ranch Staff Communication Principles, and adhere to professional expectations including attendance, good work ethic, appropriate clothing and language. Our goal is to facilitate the building of a solid foundation in animal care, as well as preparing them to excel when faced with the many challenges of being a professional in any field. Is the Apprenticeship Program right for you? In caring for animals, there is no such thing as a lazy day! The apprenticeship program requires hard work, dedication, maturity, professionalism, and responsibility. Rain or Shine, at least an hour of your day will consist of mucking & pen cleaning. Apprentices are expected to be on time and ready to work. Attendance is mandatory. Excused absences require 24 hours notice and hours missed should be made up. Attendance will be taken and hours recorded at each work day. Apprentices must follow all Sienna Ranch rules. Apprentices must follow the Sienna Ranch Communication Principles. Animal Apprentices in good standing will be given priority in our paid Animal Care Internship (Age 16+). 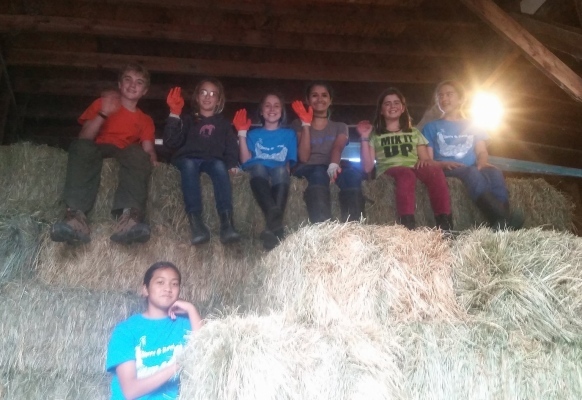 Animal Care Apprentice Program fees are an important part of keeping this program a sustainable part of the Ranch. Your fees go a small part of the way to cover the administrative time spent planning, supervising and communicating around our apprentice program as well as materials like camp t-shirts, summer snacks, certificates, etc. Fees also allow us to offer our exciting new Paid Internship Program which gives our most experienced and dedicated apprentices a place to grow towards. Our goal is a sustainable, high-quality program which remains financially accessible. Once a Apprentice is accepted into the program they can fill out the Apprentice Program Sliding Scale form and Julie our Business Manager will contact them within a two business days with a registration code which will set your fee at the amount you indicated on the Sliding Scale form. This form is confidential to Sienna Ranch administration only. All donations above the Program Cost will go entirely towards reducing the price for other families. Please consider your family’s needs carefully. If you are able to help out another family by paying a little more please do! Apprentices who are 15-18 years of September 1st and have successfully completed at least one year of the Animal Care Apprenticeship Program are not required to pay a fee, but may choose to donate so that others can participate at a reduced price. Please fill our the Sliding Scale Form and indicate the ‘Free for Experienced 15-18YO’ Option. Apprentices who turn 16 before September 1st and have successfully completed at least one year of the Animal Care Apprenticeship Program are eligible for priority application to our *PAID* Animal Care Internship Program. We are limited to four Paid Internships per year, awarded on merit. For any questions or concerns please contact our office on 925 283 6311, or email Lauren at sranimalcare@gmail.com. Thanks so much for being a part of our Animal Care Apprenticeship program! Our application process is designed to help us select applicants who will enjoy, benefit from, and excel in our program. Priority will be given to returning apprentices in good standing. All applicants must be able to follow instructions and be able to work both independently and as part of a team. The application process begins with an online written application. If the written application is accepted, the applicant will then be asked to attend a working interview at the ranch. After the working interview, an acceptance decision will be made by the Animal Care Manager. This decision will be communicated to the applicant via email.